Abraham Lincoln won the presidential election in November of eighteen sixty. When he took office several months later, he faced the most serious crisis in American history. The southern states had finally acted on their earlier threats. They had begun to leave the Union over the issue of slavery. This week in our series, Harry Monroe and Kay Gallant talk about this critical time in American history. The southern states did not want Abraham Lincoln to win the election of eighteen sixty. Lincoln was a Republican. And the Republican Party opposed slavery. Lincoln never said he wanted to end slavery in the South. He did not believe anyone had the right to do so. Yet he did not want to see slavery spread to other parts of the United States. Lincoln told southerners: "You think slavery is right and should be extended, while we think it is wrong and should be limited. That, I suppose, is the trouble. It surely is the only important difference between us." Pro-slavery extremists felt this difference was enough. And they were sure Lincoln and his Republicans would soon win control of Congress and the Supreme Court. Before long, they thought, the Constitution would be changed. Slavery would become illegal everywhere. Even if this did not happen, southerners were worried. Unless slavery could spread, they said, the slave population in the South would become too large. In time, blacks and whites would battle for control. One or the other would be destroyed. So even before the presidential election, southerners began discussing what they would do if Abraham Lincoln won. Early in October, the governor of South Carolina, William Gist, wrote letters to the governors of other southern states. He said they should agree on what action to take if Lincoln became president. Gist said South Carolina would call a state convention as soon as the election results were made official. If any state decided to leave the Union, he said, South Carolina would follow. If no other state decided to leave, then South Carolina would secede by itself. Governor Gist received mixed answers. Two states -- Alabama and Mississippi -- said they would not secede alone. But they said they would join others that made this decision. Two more states -- Louisiana and Georgia -- said they would not secede unless the north acted against them. And one state -- North Carolina -- said it had not yet decided what to do. 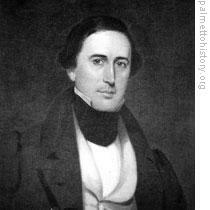 No southern governor, except William Gist of South Carolina, seemed willing to lead the South out of the Union. 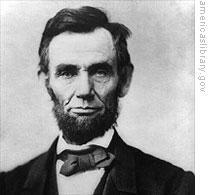 Abraham Lincoln was elected president on November sixth, eighteen sixty. South Carolina exploded with excitement at the news. To many of the people there, Lincoln's victory was a signal that ended the state's ties to the Union. To them, it was the beginning of southern independence. Both United States Senators from South Carolina resigned. So did a federal judge and the collector of federal taxes. United States flags were lowered. State flags were raised in their place. The state legislature agreed to open a convention on December seventeenth. The convention would make the final decision on leaving the Union. Several other southern states did the same. This idea of leaving the Union -- secession -- split North and South just as much as slavery. Southerners claimed they had the right to secede peacefully. Northerners disagreed. They said secession was treason. They said it would lead to civil war. 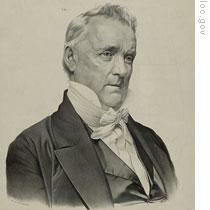 In the months before Lincoln's inauguration, President James Buchanan tried to deal with the situation. First he proposed a convention of all the states. The purpose of the convention would be to work out differences between North and South. The southern members of Buchanan's cabinet rejected this idea. The second proposal was a strong policy statement on secession. The statement would include an opinion by the attorney general. It said the government could use force, if necessary, to keep states in the Union. The southern cabinet members rejected this idea, too. President Buchanan had to settle for a moderate policy statement on secession. It said the president could send troops into a state to help federal marshals enforce the rulings of federal courts. But if federal judges resigned, there would be no federal court rulings to enforce. Therefore, to send troops to a state where federal officers had resigned -- such as South Carolina -- would be an act of war against the state. And only Congress had the constitutional power to declare war. Buchanan accepted this statement. He was only too happy to let Congress decide what to do. There was little chance that Congress could do anything. Congressmen from both North and South already had made decisions that could not, and would not, be changed easily. Most of the congressmen from states in the deep south supported secession. They did not want to remain in the Union. Many congressmen from states in the North had been elected because they promised to keep slavery from spreading to the western territories. They did not plan to break their promises. A few lawmakers hoped President Buchanan, in his yearly message to Congress, might propose a compromise. Buchanan began by denouncing northern Abolitionists. He said they were responsible for the present problem. Their interference, he said, had created a great fear of slave rebellions in the South. Then Buchanan called on the South to accept the election of Abraham Lincoln. He said the election of a citizen to the office of president should not be a reason for dissolving the Union. Buchanan declared that the constitution gave no state the right to leave. But, he admitted, if a state did secede, there was little the federal government could do. "The fact is," Buchanan said, "that our Union rests upon public opinion. It can never be held together by the blood of its citizens in civil war. If it cannot live in the hearts of its people, then it must one day die." Buchanan proposed to Congress that it offer a constitutional amendment on the question of slavery. He said the amendment should recognize the right to own slaves as property in states where slavery was permitted. It should protect this right in all territories until the territories became states. And it should end all state laws that interfered with the return of escaped slaves to their owners. No one liked President Buchanan's message to Congress. Northerners did not like his declaration of federal weakness in the face of secession. Southerners did not like his declaration that secession was unconstitutional. The message did nothing to change the situation. Soon after it was read to Congress, South Carolina opened its secession convention. Delegates to the convention would make the final decision if South Carolina would remain in the Union or secede. There was little question how they would vote. 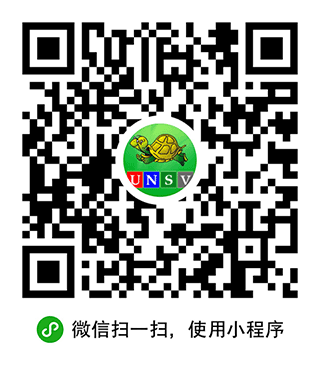 A committee wrote a secession resolution. 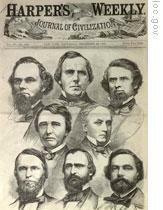 The resolution said simply that the people of South Carolina were ending the agreement of seventeen eighty-eight in which the state had approved the Constitution of the United States. It said the Union existing between South Carolina and the United States of America was being dissolved. The committee offered the resolution to the convention on December twentieth, eighteen sixty. There was no debate. The delegates voted immediately. No one voted against it. South Carolina had seceded. But what must it do now. There was the problem of property in South Carolina owned by the federal government. The convention continued to meet to work out details of South Carolina's new position in the world. Our program was written by Frank Beardsley. The narrators were Harry Monroe and Kay Gallant. Transcripts, MP3s and podcasts of our programs can be found, along with historical images, at www.unsv.com. Join us again next week for THE MAKING OF A NATION -- an American history series in VOA Special English. the secession had had an earlier foundation in southern states. but the presidential election of Abraham Lincoln made it get to its climax. it proved Lincon's immanse power which the southern satates had already felt.